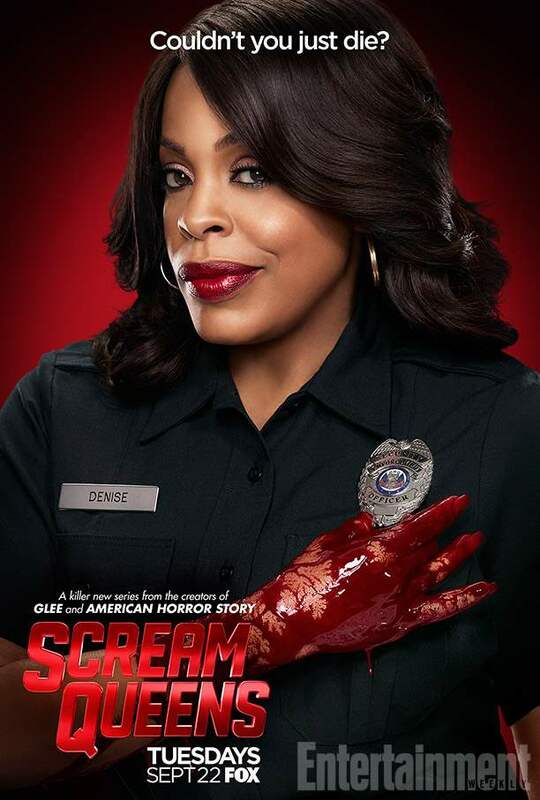 In support of the forthcoming release of Fox’s Scream Queens, we have a series of new character posters to share with you. Fifteen to be exact! 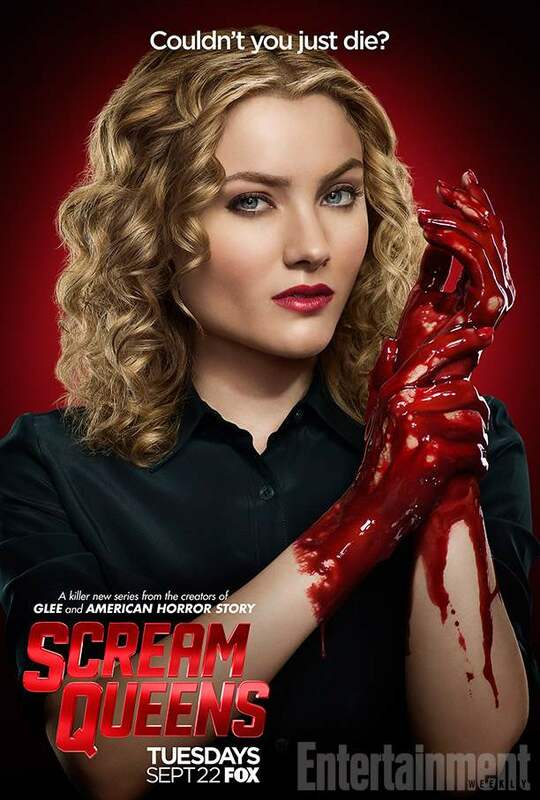 Each offers a look at a member of the cast getting their hands dirty, or bloody, rather. Head inside for your first look at the new one sheets (courtesy of EW). 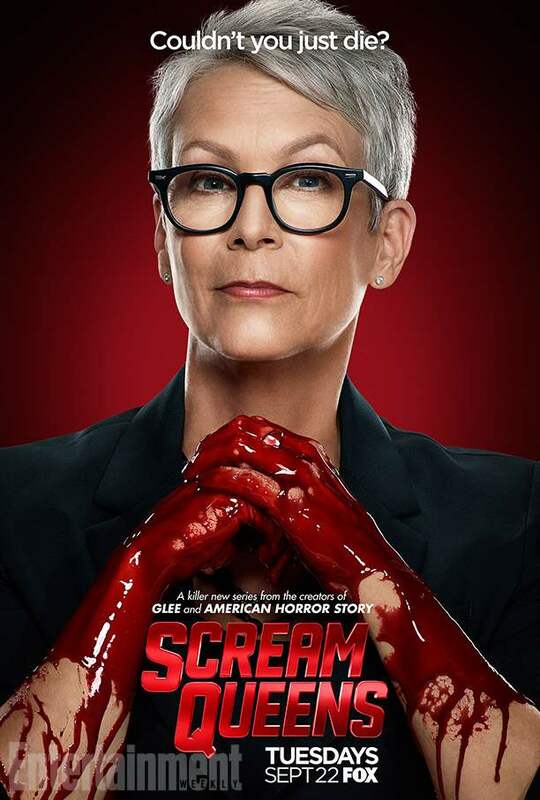 Each of the new poster designs pose the question, “Couldn’t you just die?” The designs feature the likes of Jamie Lee Curtis, Emma Roberts, Nick Jonas, Oliver Hudson, and many more! Emma Roberts recently took to Instagram to announce the premiere date of the new series. 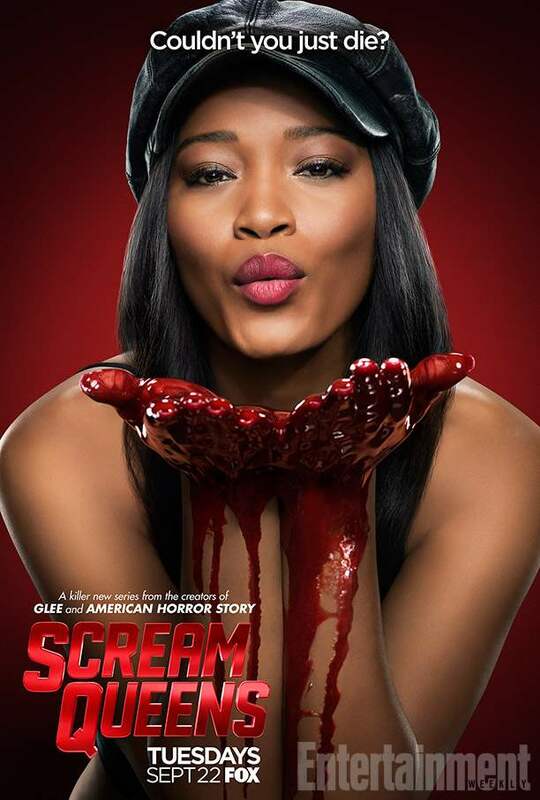 In case you missed that announcement, the show will make its debut on Fox Tuesday, September 22, 2015. 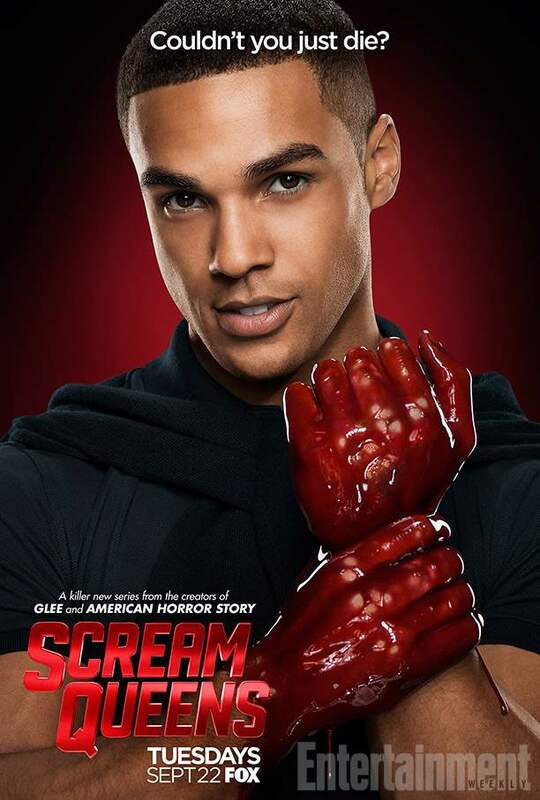 Scream Queens will be produced by Ryan Murphy Television. 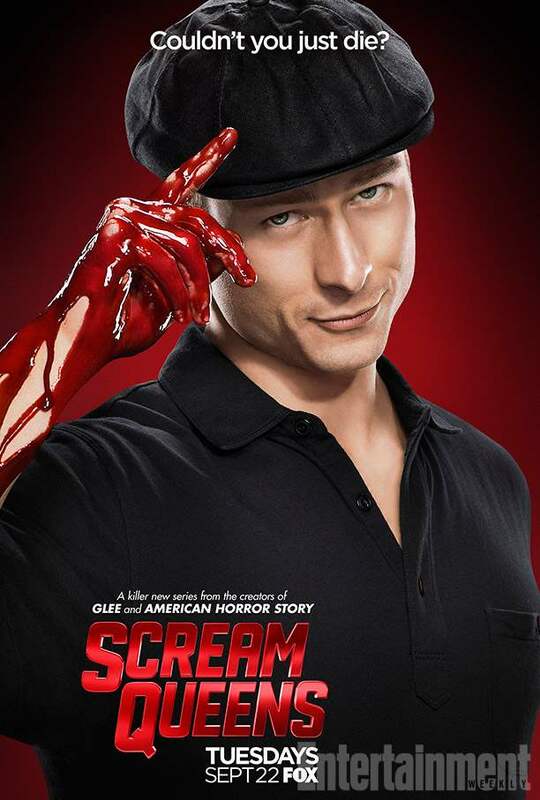 Murphy will serve as executive producer with production partner BRAD FALCHUK. Ian Brennan and Dante Di Loreto will also be executive producing the upcoming anthology series. 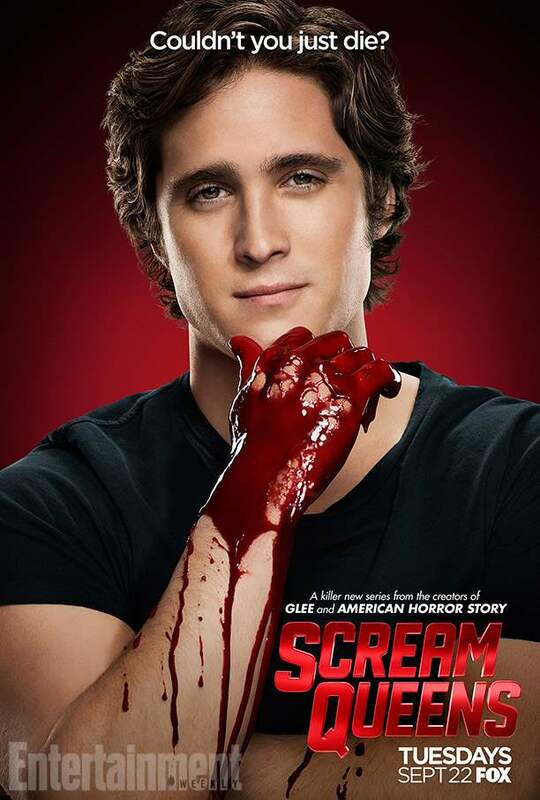 The first season of the show will take place on a college campus plagued by a series of murders. 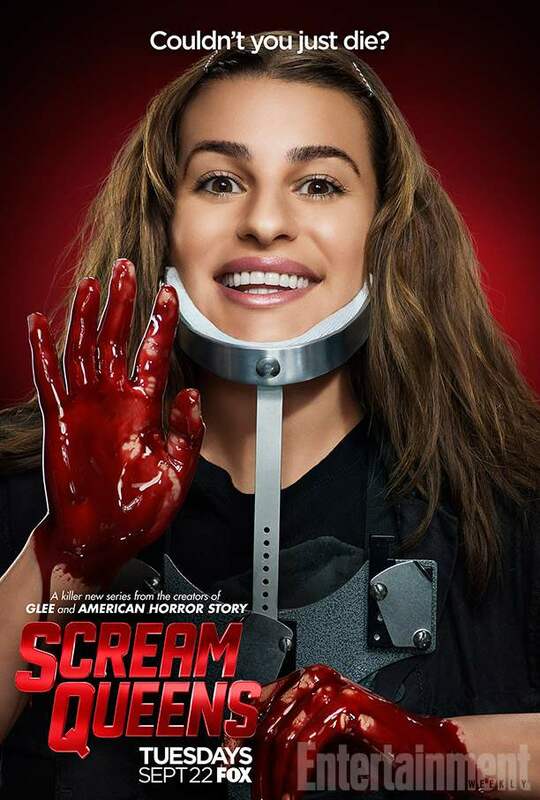 The premiere season will consist of fifteen hour-long episodes. 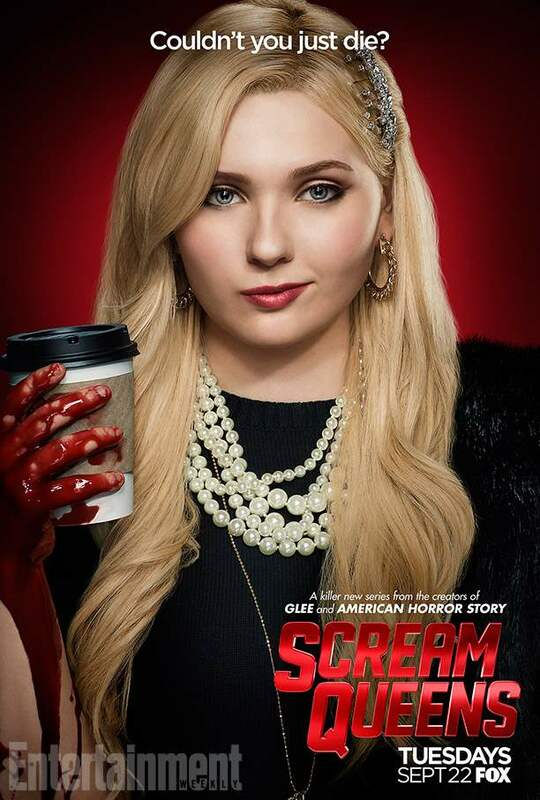 The program will star Emma Roberts, Jamie Lee Curtis, Skyler Samuels, KeKe Palmer, and Abigail Breslin. 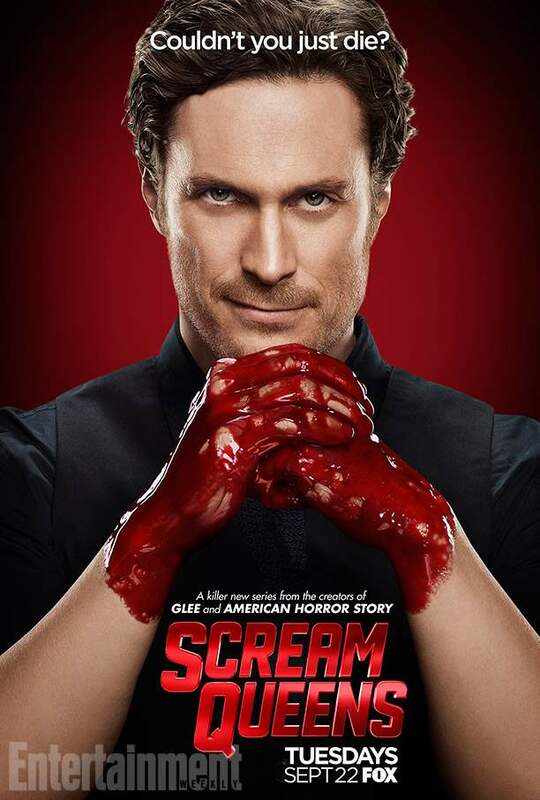 As we announced before, Joe Manganiello dropped out of the project and was replaced by Oliver Hudson. 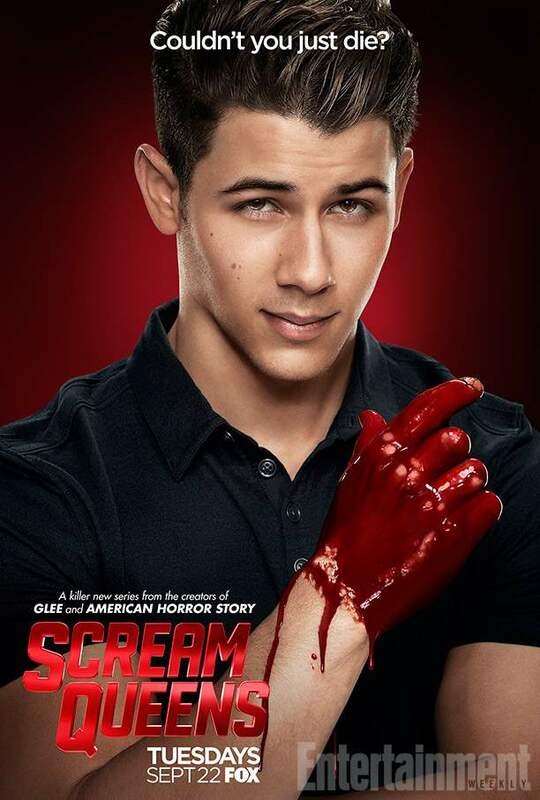 Nick Jonas and Ariana Grande have been confirmed for guest appearances some time during the series’ first season.